The growing divide between state-run India Post’s revenues and expenditure touched Rs 15,000 crore in Financial year 2019, making it the biggest financial liability for the government, even more than government companies like BSNL and Air India. Public Sector Undertakings like BSNL and Air India reported losses of Rs 8,000 crore and Rs 5,340 crore, respectively, in Financial year 2018. Like all other state-owned companies, India Post is also victim by high operating costs and huge expenses to employees. Salaries of the employees have been rising due to implementation of many central pay panel awards. However, revenue from postal services is on a massive downtrend. It requires some soulful thinking on the part of government when they control 100% of any entity. All PSUs and government run entities are running in huge losses without any financial accountability. What can you expect when 90% of revenue goes for salaries. Airindia Limited BSNL LTD MTNL now IndiaPost and many more, all have outlived their utilities in the wake of open market competition. Time to rethink and close the units as they can’t even break even let alone making any profits. The company has been figuring out every option to emerge from this financial distress but has failed due to a mismatch between product costs and cheaper alternates available to traditional mailing services. 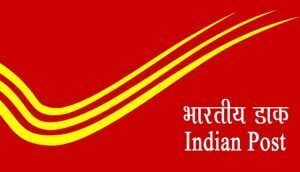 Sources said India Post may be asked to delve into e-commerce and other value-added services to put its 4.33 lakh workforce and 1.56 lakh post office network to use. “For a universal service like postal service, losses will be there as there are more post offices in the country than bank branches of all commercial banks put together,” an official said. The body spends Rs 12.15 on each of its Postcard but only gets back 50 paise or 4 percent of the cost. Same goes for its parcel service, book post, speed post and registration. India Post also made its entry in variety of domains by providing services in selling financial products such as sovereign gold bonds, mutual fund and insurance, passport service delivery, railway tickets etc. But they did not help out much and only accounted for Rs 844 crore in revenues in 2018. India Post is totally dependent on National Savings Schemes and Saving Certificates for major chunk of its revenues. They made up 60 percent of its revenue of Rs 11,511 crore in FY17. So, instead of killing each other, complete and compliment each other: public courier service provider with individual e-commerce service provider. In the United States, I saw that the USPS has joint venture with Amazon and majority of online sales were delivered via USPS trucks to the homes. So, e-commerce gave new ongoing income for large size parcels thru USPS. Post services are profitable only when they keep getting repeatable sales. Looking at Indian Post scenario,in spite of E-commerce boom they still making losses . This is really strange.